Langtang Trekking in Heart of the Himalaya! Beside Everest and Annapurna regions, Langtang area is considered to be the third most popular trekking destination and classic route. 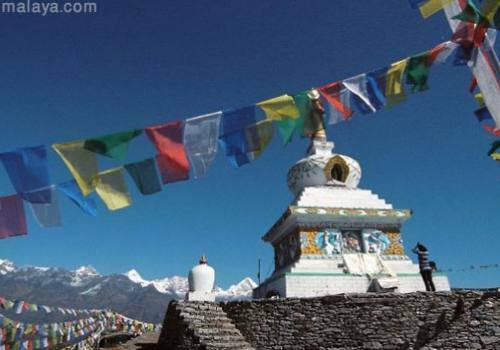 It is possibly the easiest trek which requires no flights and is not very far from Kathmandu. Mainly, there are two accesses to enter the region, Sudarijal and Syabrubessi. 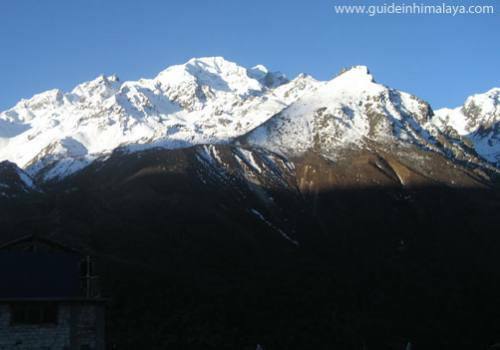 Of the several busy trails in the Langtang circuit trek is the main and the most fancied trekking trail which is also divided into Langtang Valley Trek, Langtang Helambu Trek, Ganja-La Pass Trek, Helambu Trek and Tamang Heritage Trek. Still Langtang Valley and Helambu Treks are the most liked ones among trekkers. 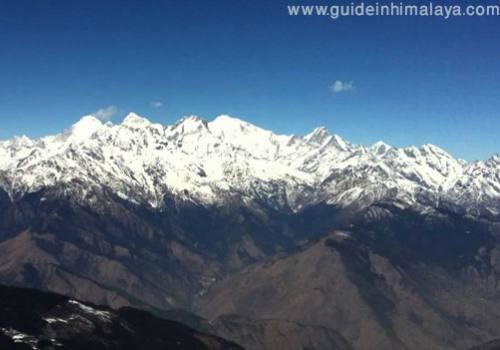 Popular spots in the area are Kyanjin Gompa, Langtang Valley, Tserkuo Ri and Goshainkunda. This area offers you many different sorts of experiences that other routes possibly cannot provide. 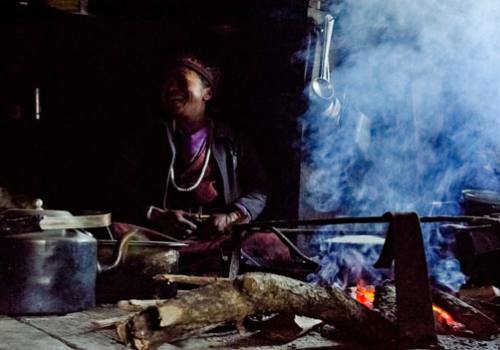 The trail goes through many traditional ethnic and cultural villages and virgin forests on the way to Langtang Circuit Trek. The region is protected by Langtang National Park, established in 1976, as the first Himalayan National Park and it covers an area of 1710 square kilo meter in Nuwakot, Rasuwa and Sindhupalchowk districts of central Himalayan region encompassing 26 Village Development Committees. In 1970, royal approval designated the establishment of Langtang National Park as the first protected area in the Himalayas. The national park was gazette in 1976 and extended by a buffer zone of 420 km2 in 1998. The climate of the park is dominated by the southwest summer monsoon. Temperatures vary greatly due to the extreme difference in altitude in entire area. Most of the annual precipitation occurs from June to September. In fall (Oct – Nov) and spring (April – May) days are warm and sunny and nights are cold. In spring, rain at 3000m elevation often turns to snow at higher elevations. In winter from December to March, days are clear and mild but nights are cold. 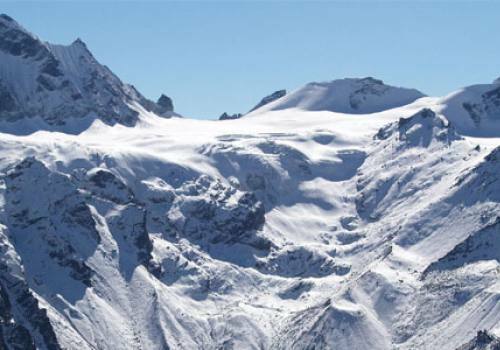 Main features of the region are; striking landscapes, the incredible view of Himalayan panorama, mighty mountains like Gauri Shankar, Dorje Lakpa, Langtang Lirung, Gang Chhenpo, Naya Kang, Yala Peak, Ganesh Himal and Manaslu Himal in the west and several magnificent Himalayan Ranges, breathtaking ocean of Rhododendron and bamboo forests crowded with verities of wild life, beautiful cascading of waterfalls attracts you with hiking enthusiasm. 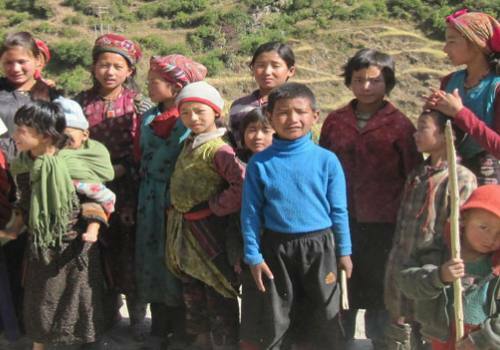 Here, trekkers can get the chance to walk around the amazing life and ideal cultures of the native Tamang and Sherpa peoples. The entire area is enriched of Himalayan Flora and fauna with more than 1000 different plants species, birds more than 150 species, other mammal ranging from Himalayan thar, red panda, snow leopard, mountain leopards to musk dear. Avail of the rare opportunity to take healing bath in soothing hot spring in Tatopaani, Gosainkunda, the holy lake of Hindus and the Buddhists. 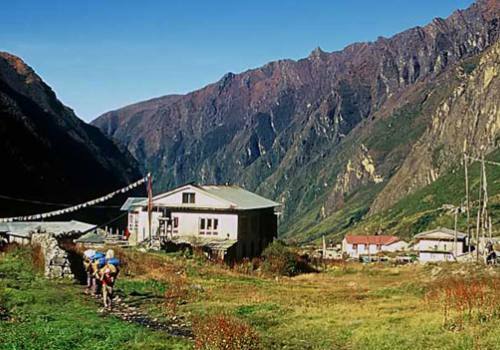 Trekking through Lauribina La, you will arrive to amazing valley of Langtang and harmonious and beautiful Tamang Villages. The Villages of Sermathang and Taekey Gyang are unique settlements that you like you like to spend some more nights. The best time to trek in Langtang is spring (March, April and May) and autumn (September, October and November) yet you can even trek December, January and February too. We, Guide in Himalaya offer one week to three weeks long excellent trekking tours packages to Langtang region blessed with matchless cultural and natural beauty.